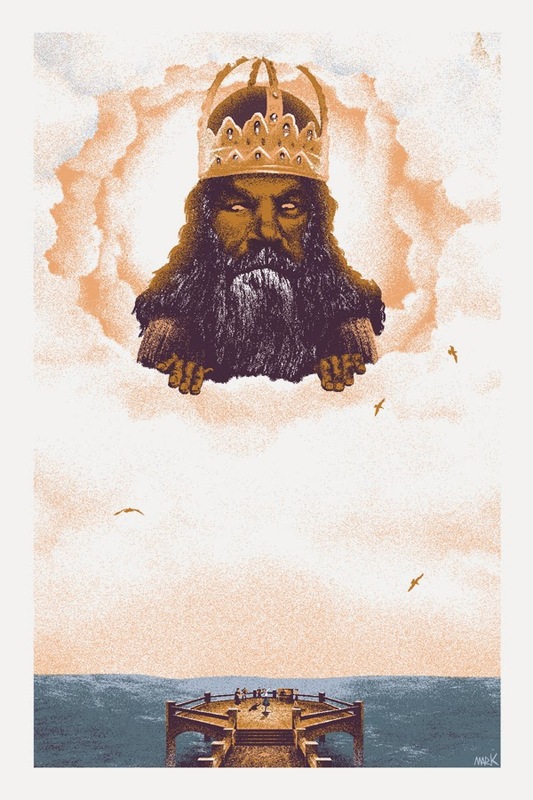 Bottleneck Gallery is releasing a small, 4x6, giclee handbill as a companion piece to "new eden". It's called, "of course it's a good idea". They will cost $15 and you can buy them HERE until the Sunday at 11:59pm EST. 100% of all profits will go to my charity of choice, the Ronald Mcdonald House. My kid was born 2 months early. It was a very difficult time, the first time I saw my kid he was held up, fresh from the womb and promptly passed through a window into another room... the next time I saw him was about an hour later. He was tiny, beautiful and that overwhelming sense of new responsibility hit me right at the same time I realized he was engulfed in wires, tubes up his nose, down his throat and an IV that just looked too big for his tiny arm. It was the most scared and helpless I had ever felt. My newly larger family just wasn't in great shape. My wife had a major surgery to recover from and my kid was facing an unknown amount of time in the hospital. Ronald Mcdonald House offered to put us up in their facility across the street once my wife was discharged so we could always be nearby. We didn't need to take them up on it, since we lived nearby, but the place was very busy... We were very lucky to live nearby one of the best hospital for premature babies in all of CA. A lot of the babies in the same wing as my kid had been flown to that hospital to receive care, which means a lot of parents traveled hundreds of miles to be with their kid. Most all of them were being put up, for free, at the Ronald McDonald house. My kid reacted very well to the care he received and we were all headed home in three weeks. Most kids are there for month and months under 24 hour care. Their parents are already stressed out, their newborn babies are seriously ill and they are taking time off of work to be there for their children... Ronald Mcdonald house takes a huge load off their shoulders by providing a place to stay. It's a great charity.